Two more facilities in Comox have received AEDs. Photo courtesy Comox Fire Rescue. COMOX, B.C. 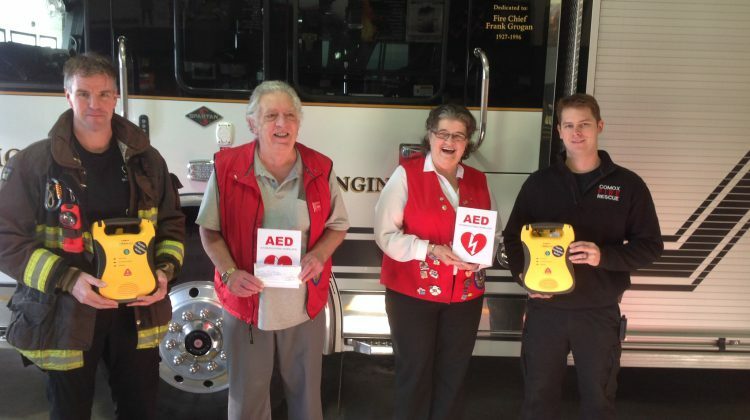 – The Comox Valley Lions Club has teamed up with the Comox Firefighters Association to donate two more automatic external defibrillators (AED) in Comox. The AEDs will be set up at D’Esterre Gardens and Quadra Gardens, both seniors’ facilities. “It is great to see organizations like this assisting us in our efforts to have AEDs available all over Comox. I am also very proud of our firefighters for their support of this important project. We now have over forty of these life saving devices in our community. The Lions are an important group here in the Comox Valley, they do so much for our community. Having AEDs located all around our community makes a lot of sense,” said Comox fire chief Gord Schreiner, in a release. According to the department, by the end of May, Comox will have 25 public access AEDs in their community. Eight of these are located on Comox Avenue in the downtown area. A public access AED costs around $2000.00, according to the department. 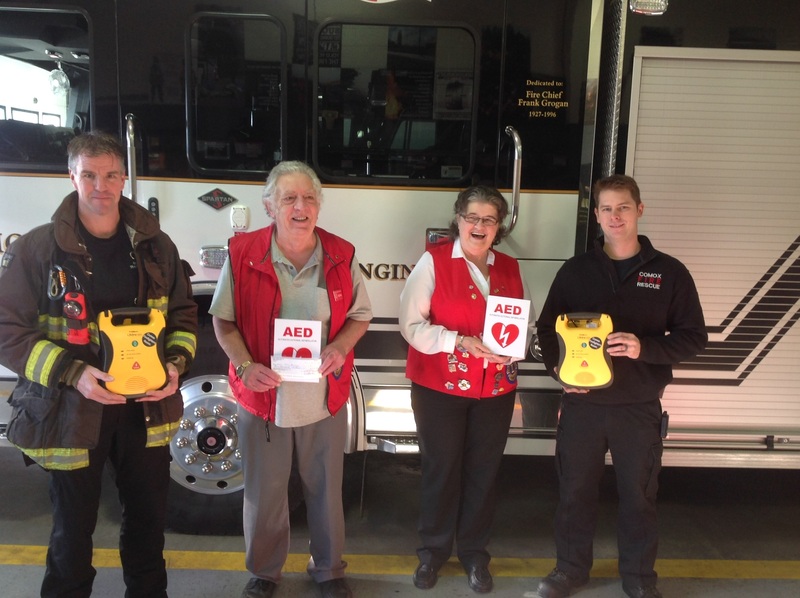 The Comox firefighters cover the remaining cost and place an AED in the business or building. They also provide CPR and AED training to staff. The release noted that studies have shown that 30% to 50% of cardiac arrest victims would likely survive if CPR and AEDs were used within five minutes of collapse. The Comox Fire Department carries AEDs on most of their emergency vehicles, and one is mounted in their fire station.